Starrett, is celebrating six decades of UK manufacturing. The company, which was founded in the US, opened its UK factory in Jedburgh, Scotland, in 1958 and has since grown to become one of the global business’ main manufacturing sites. Laroy S. Starrett invented and patented the combination square in 1878 and founded the L.S. Starrett Company two years later. By 1882 he had secured sales representatives across America and in London and Paris. Since its ambitious beginnings in 1880, the company has grown exponentially and has been responsible for introducing many of the tools, equipment and machines that many contractors, engineers and manufacturers rely on today. With the company’s headquarters in Athol, Massachusetts Starrett began its international expansion in 1956. 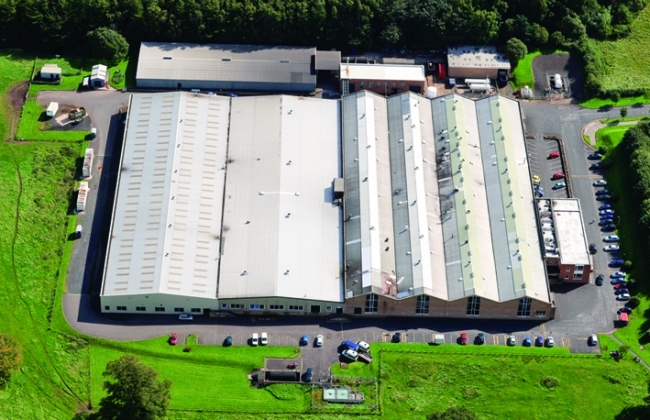 “After establishing a base in Sao Paulo, Brazil the business was also considering locations in the UK and Europe” explains Donald Miller, General Sales Manager of Starrett’s UK factory “Jedburgh’s town provost at the time realised the potential opportunity for the Scottish Borders area and arranged to meet with Douglas R. Starrett to promote Jedburgh as an ideal location. The meeting was a success and the Starrett UK factory was constructed on the outskirts of Jedburgh in 1958”. “Today, there are over 150 people employed at the 200,000 square foot facility, in Scotland which produces in excess of two million hole saws per year, as well as manufacturing a range of other saws and machines, such as optical profile projectors and band saw blades. The Jedburgh base forms the epicentre of Starrett’s UK and European operations and currently supplies products to over 50 countries through Starrett’s well-established network of distributors and long-term partners. Building on the success of the humble combination square, invented almost 150 years ago, Starrett now manufactures a wide range of precision measurement tools, power tool accessories, hand tools and band saw blades worldwide. The business also manufactures metrology equipment and in recent years has added force measurement and material testing equipment to its portfolio.